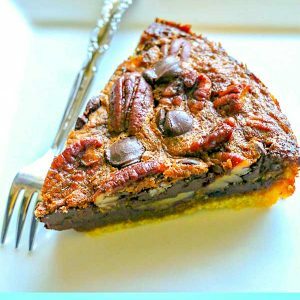 When it comes to Thanksgiving in my home, traditionally it is pumpkin pie and chocolate pecan pie. 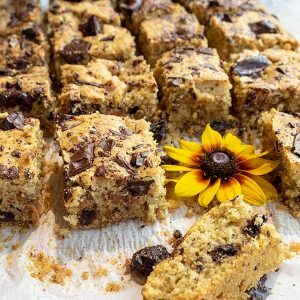 This year I am breaking the tradition and will make chocolate pumpkin cake with ganache and these amazing chocolate pecan shortbread squares. Shortbread is festive on its own but add a chocolate pecan layer over the shortbread and, well you know what I am talking about. It screams delicious!! 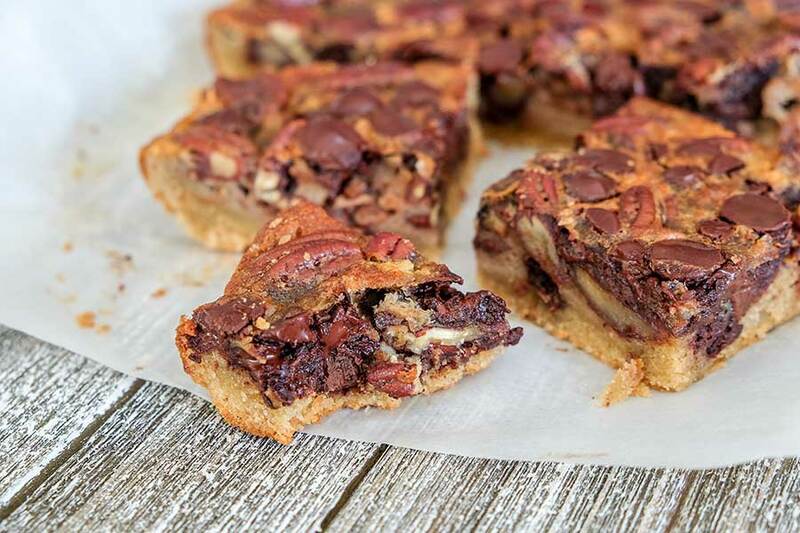 I promise you, this chocolate pecan shortbread dessert will melt in your mouth. 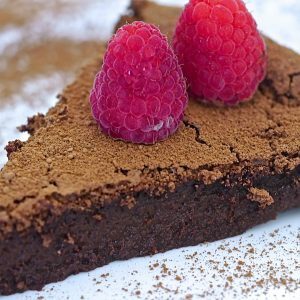 I am still sticking to tradition, well sort of, by making chocolate pumpkin cake and chocolate pecan shortbread, just adding a little twist to my favourite gluten-free Holliday desserts. Yes, I know a lot of chocolate, but if you can’t indulge during holidays when is a good time? For me always haha! What’s great about these squares is, you need 9 ingredients, and you can make them in advance.